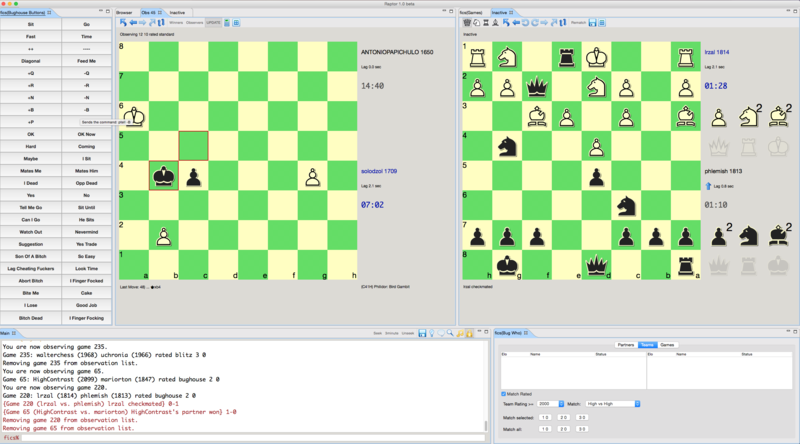 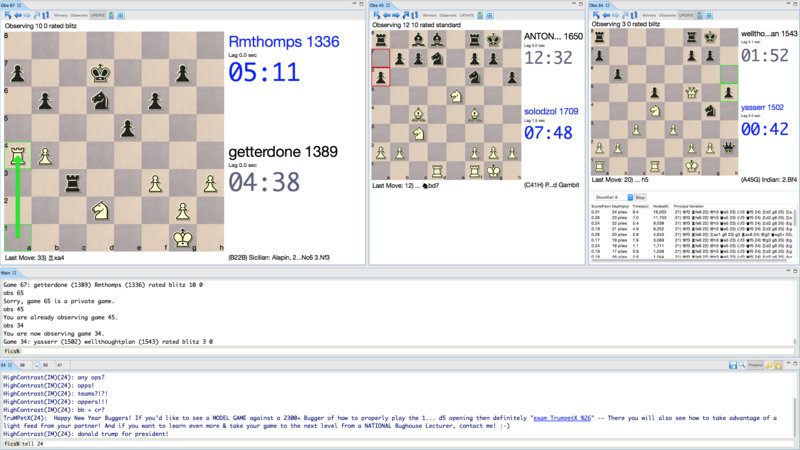 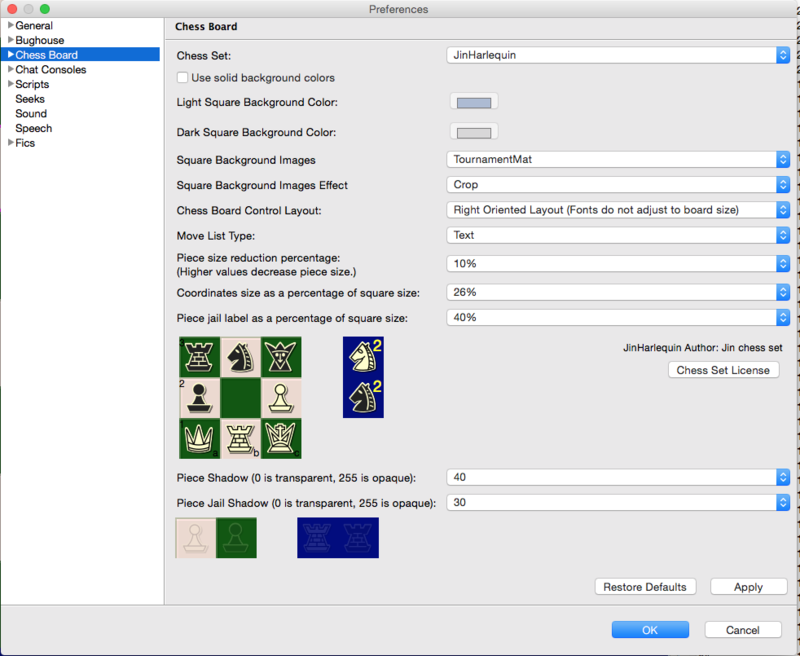 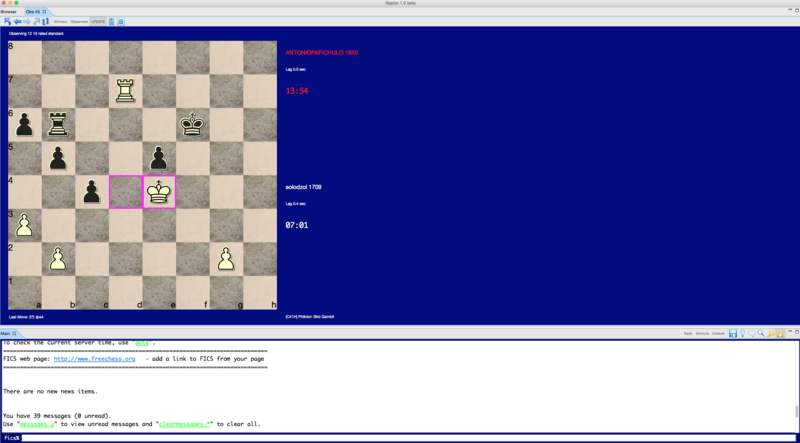 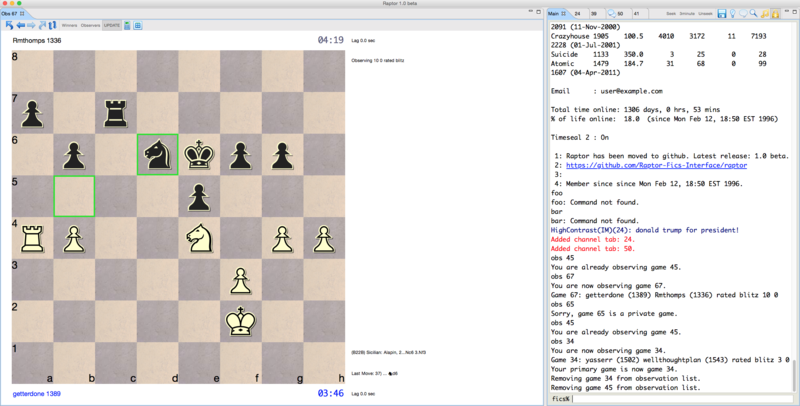 A multiplatform chess interface for freechess.org (aka FICS). 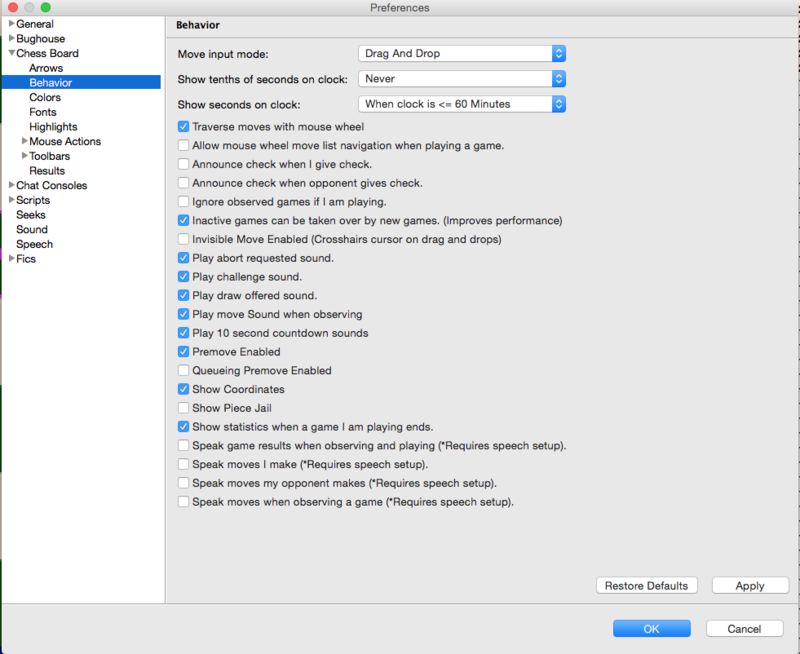 Double click on Raptor in Applications (You might have to go into System Preferences -> Security & Privacy to allow Raptor to execute). 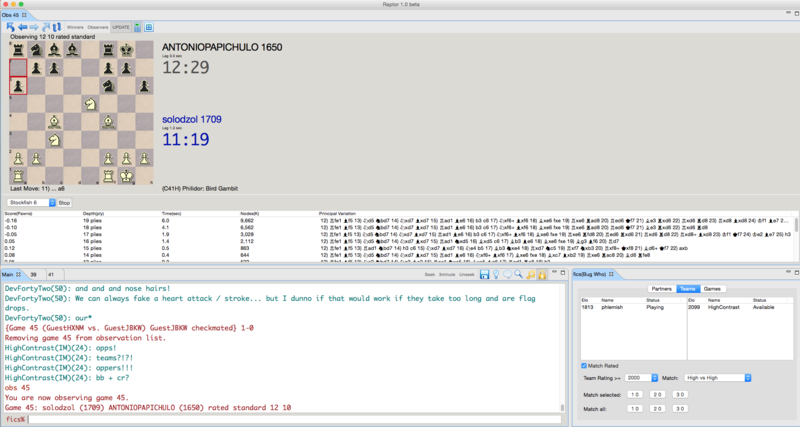 Change Log For a full list. 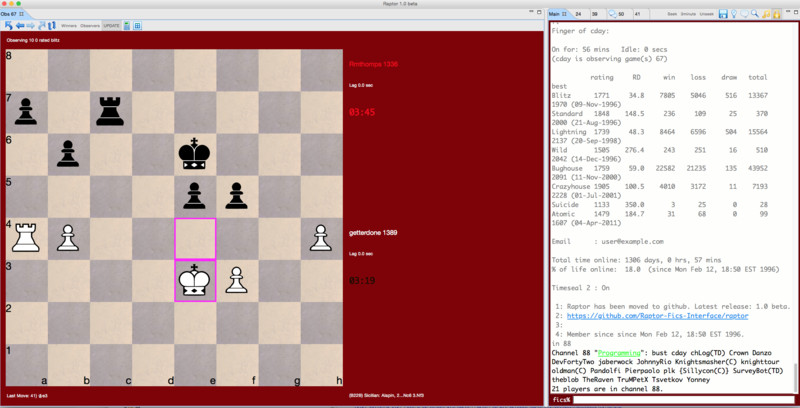 Raptor (v1.0) is maintained by Raptor-Fics-Interface. 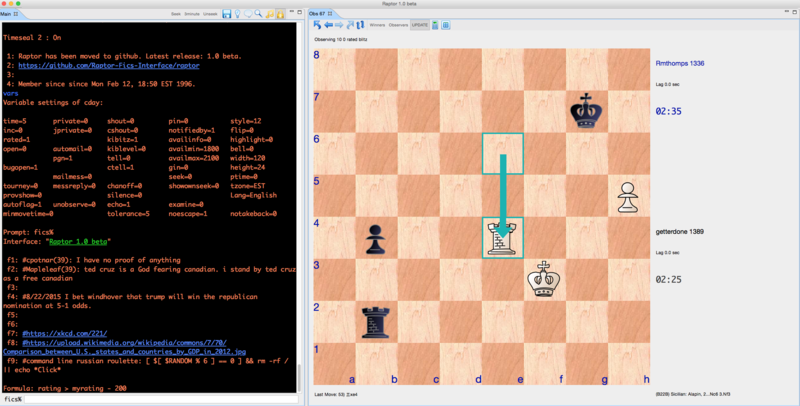 This page was generated by GitHub Pages using the Cayman theme by Jason Long.